Submissions to the Peacemaker Awards entries must be postmarked or received via email by midnight, CST, January 15, 2016. Get those entries in now to avoid the December crunch. The holiday season is fast approaching. And that means no time for reading - right? Wrong! Trust me, while Christmas holidays may be stressful, some readers long for a break between cookie baking, decorating, wrapping, shopping, or whatever - and a novella or collection of short stories takes the 'cake' if it has a holiday theme. I've written several novellas over the past few Christmases. Bear with me for some shameless promo before I get down to western business. 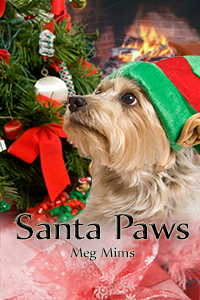 SANTA PAWS features a dog who wreaks havoc for a divorced mom and her daughter. "The last thing Lacey Gordon—divorced with a teen daughter and two cats—needs is a rescue dog coming into her life. To top it off, she's rooked into a "Get Under the Mistletoe by Christmas Eve" dating contest. Since Buddy the dog prefers to be the only "new guy" in Lacey's life, will Santa Claws ruin her holiday for good?" I had fun writing this novella, and the dog on the cover looks just like my own rescue, Benji, now in doggie heaven. 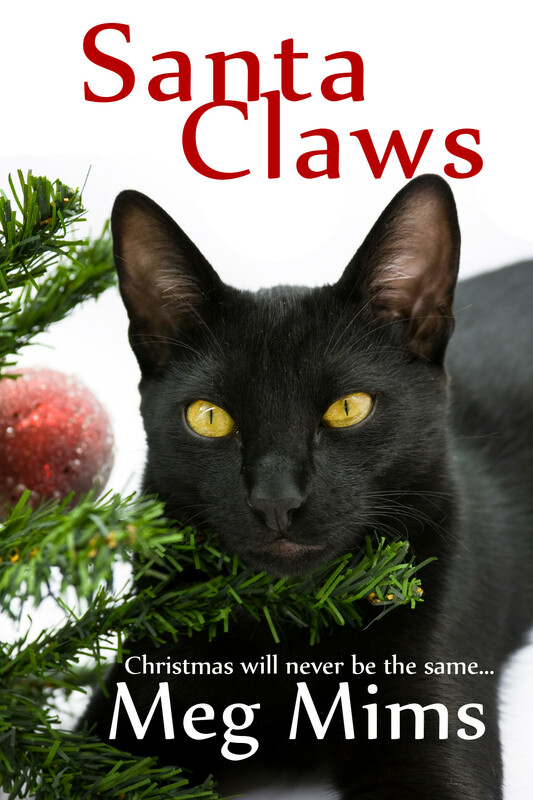 SANTA CLAWS stars Lucifer, a mischievous black cat with an agenda of his own. Mary Kate Branson will do anything for her brother, who is deployed overseas right after Thanksgiving - including taking in his mischievous cat, Lucifer. She juggles battling job woes at a bakery with dating a hot volunteer firefighter and all the preparations for Christmas ... but Lucifer has his own plans for a holiday bash. And Lucifer, the black cat on the cover, resembles our own Toby, also in kitty heaven. Sniff. We miss them both! But readers have enjoyed the comedic antics. 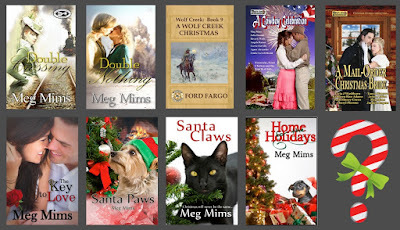 Also in the line-up is HOME FOR THE HOLIDAYS - all about an animal rescue organization. Jodie Watson's in the animal rescue business -- with her best friend Phil. Their non-profit organization, Fur and Feathers, is teetering on the brink of disaster, with trouble from the city condemning their rented building. They soon have a worse fight on their hands, though, when donation money goes missing. Will their blossoming romance turn sour? Or can they work some Christmas magic to survive and find a new home for the holidays for their precious rescues? 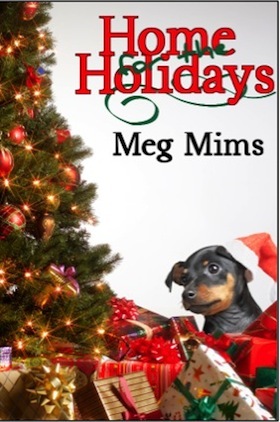 The adorable wiener dog on the cover resembles Pepper, the dog my family first owned. She bit my older brother, so she ended up with my grandparents. Dang. At least we ended up with a far more lovable (but uglier) mutt. 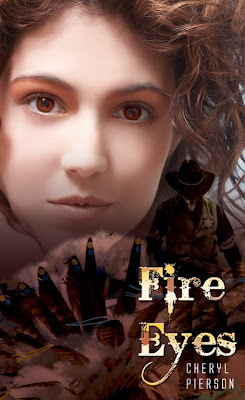 Dogs and cats aside, I thought - why not write a western AND holiday story this year? And that's when I learned that Prairie Rose Publications planned a mail order bride anthology revolving around Christmas. Oh boy! I jumped on board. 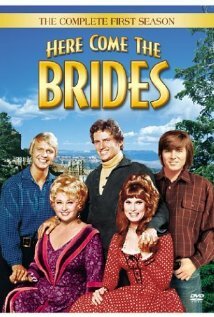 I'd never written a mail order bride story, but hey, one of my favorite TV shows was Here Come the Brides set in Seattle. While all the girls my age fawned over Bobby Sherman or David Soul, I kind of liked Robert Brown - the oldest brother. And I ended up marrying an older guy, too. Hmm. But I had to come up with an idea that would be believable, since not all mail order bride stories end up 'happily ever after'. It turned out tougher than I thought. But who doesn't like a little holiday mischief? That's why I chose a theme where my heroine takes a chance for a new life, like in all mail order bride stories, but with a twist. 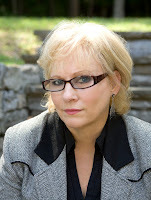 I wouldn't be a mystery writer if I failed to include that in my plot! 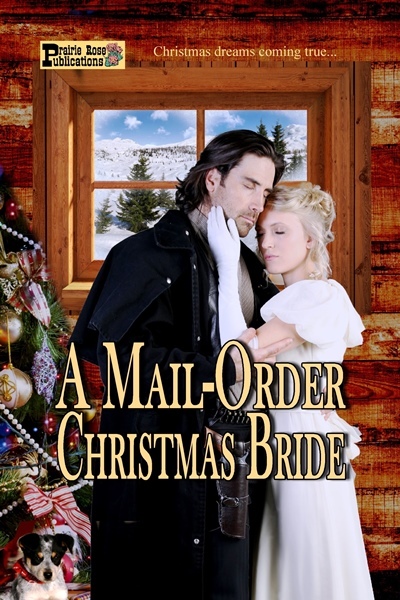 So here's the anthology for this year - A MAIL ORDER CHRISTMAS BRIDE with my story among seven other talented Prairie Rose authors. Will it be true love or a HOLIDAY HOAX for these mail-order brides who are traveling together? When they “switch” grooms in Holliday, Nebraska, will things work out for the best, or will they end up ruining their futures? 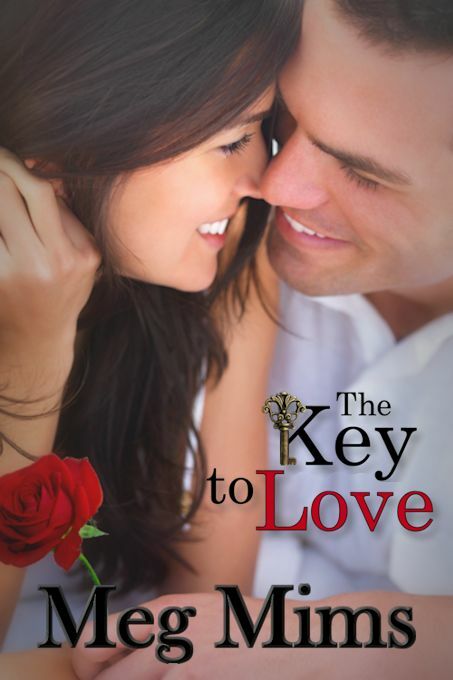 I'm also hoping to get my own Christmas novella out by December 1st - the sequel to THE KEY TO LOVE, a novella centered around Valentine's Day and the Groundhog Day blizzard of February, 2011. My characters Jenn and Steve decided they'd waited long enough and started bugging me, so I'm rushing to finish the story and get a new cover. So far, THE KEY TO CHRISTMAS is working out. Let's hope I can get it done - maybe I'll have to avoid all the turkey leftovers, since everyone yearns for a nap after the big dinner. ENJOY your Thanksgiving, family get togethers, and the busy season of giving. Make sure you have great reads on your Kindle or Nook, and remember, short stories are enjoyable for those "in-between" times when you need a break. 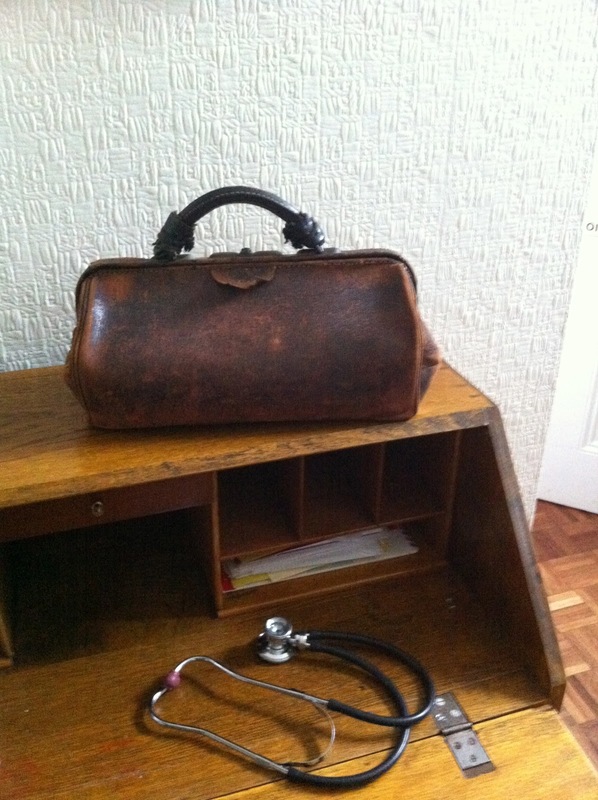 Family doctors traditionally look after patients from cradle to grave. That generally means that their care extends from birth, bringing babes into the world, to looking after patients in their final illness and certifying death when life is extinct. In the days of the Old West they often went beyond that and prepared the body for the grave. It was not unusual for a doctor to put up his shingle with the Physician, Surgeon & Embalmer upon it for all to see. All cultures and societies have developed their own approaches to dealing with the body after death. Religious beliefs, health and hygiene and aesthetics have all been factors in these matters, as have climate and land availability. Some ancient civilizations, notably the Egyptians, the Aztecs and the Incas. Creamation was practiced by the Vikings and is used in Hindu society and is also commonly used in western societies today. Burial is perhaps the commonest method throughout history. In the tales of the old West people were buried quickly in Boot Hill, although not before gory pictures of outlaws despatched in shoot-outs had been taken. Often they would be shown with the lawmen who had killed them, almost like trophies. The father of modern embalming was born in New York and attended the College of Physicians and Surgeons at Columbia University, from whence he graduated in 1845. Always enthusiastic about anatomy he developed an interest in the fluids used to preserve cadavers for dissection. He felt that the fluids were not standard and were often inadequate for the purpose. While studying under a phrenologist he was able to examine the heads of several Egyptian mummies. Their heads had, of course, been preserved using minerals like natron. It intrigued him and he studied embalming techniques, especially those used on the Continent. He began experimenting with a fluid that could be pumped into the arterial system of the body. Dr Holmes obtained a commission in the Union Amy Medical Corps and was assigned to Washington. There he was asked to embalm some officers and men killed in action, for which he was able to claim a fee of $100 per case. This came to the attention of President Abraham Lincoln who sanctioned the embalming process and urged other physicians to do the same, so that the bodies of soldiers killed in battle could be sent home to their families. Holmes perfected his embalming fluid, which contained arsenic, a highly toxic poison, but a very effective preservative. During the war he embalmed 4,028 officers and men and arranged for their bodies to be transported to their homes for burial. 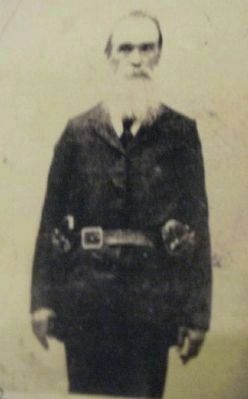 After the war he devoted his time to develop his career as a mortician. 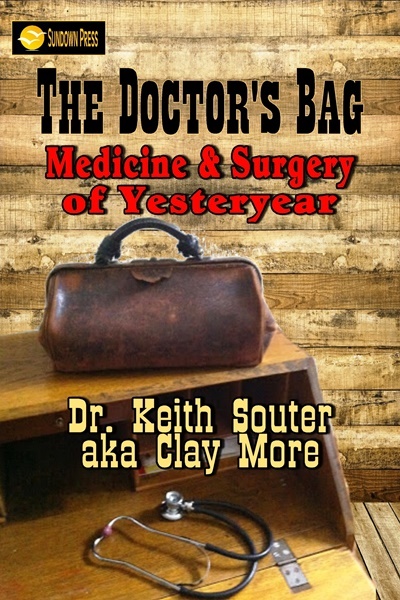 He became rich and his methods were taken up by doctors and undertakers across America. In 1859 the Russian chemist Aleksandr Butlerov (1828-1886) discovered formaldehyde, a chemical that could preserve dead tissue. It is a disinfectant and will kill most bacteria. It is, of course, highly toxic to living tissue and has to be used with great care. It did allow doctors and embalmers to preserve their clients for relatives to journey to see them before burial. We need not go into great detail about the methods used, other than to say that a tube would be inserted into an artery (one of the blood vessels that carries blood from the heart to the tissues), while blood was drained from a vein by another tube (one of the vessels carrying blood back to the hear from the tissues.) A mixture of formaldehye and possibly other embalming agents and water would be used. Generally about two gallons of fluid would be needed. In addition, the hollow organs that produce fluids: the stomach, the lungs, intestines and bladder would have all fluid removed with syringes and then the torso would have stronger formaldehyde fluid pumped in. Orifices would be plugged with cotton or linen to prevent leakage. And then the appearance of the body would be attended to. And thus Embalmer was added to the shingles of many a town doctor. The collection of these posts has just been published in book form by Sundown Press. Unbelievably, the year 2015 is drawing to a close. Boy, was that quick! It was a great year for the Western Fictioneers. We added more members, saw the release of many fantastic new western novels and short stories, and gathered for our first convention. I can’t let the year go by without acknowledging a very special birthday. This year, the iconic Stetson hat is turning 150 years old! 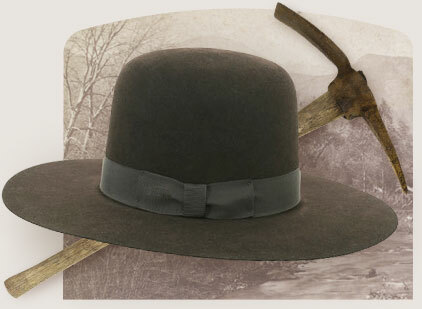 In 1865, John B. Stetson set up a little shop in Philadelphia and began hand-making the classic “Boss of the Plains,” which became the favored hat for ranchers, cowboys and movie stars. There is evidence that he had been working on prototypes since 1860. That means that, up until 1865, westerners wore an assortment of hat styles. The most common hat was actually the bowler, or derby hat. (Think Butch and Sundance.) Larger brimmed hats evolved from southern planter hats and sombreros worn by southwestern vaqueros. But it was John B. Stetson who is credited with the creation of the classic cowboy hat as we know it. "The Boss of the Plains"
The felt was made from a mixture of fur and water and then shaped into a high-crowned, wide-brimmed hat that protected its wearer from rain and heat and cold. Later styles featured creased crowns and curled brims to suit each owner’s personality and needs. Click here for a cool video outlining the process of making a Stetson hat. Buffalo Bill Cody, Annie Oakley, Calamity Jane, Will Rogers and Tom Mix all wore Stetsons. By the early 1900’s, Stetson owned the country’s largest hat factory. This popularity continued throughout the “flapper” and World War II eras, as Stetson released modified styles to suit changing fashion trends. By the 1980s, it became more economical for Stetson to license other partners to make its hats. They also branched out into other products: fragrances, luggage, home decor items, and even bourbon. The Stetson Hat Company continues to try new ways to keep “on top” of the mercurial world of fashion. The current CEO of Stetson is Izumi Kajimoto, a Japanese-born fashion executive who came up through the ranks of designer labels Ralph Lauren, Marc Jacobs and Calvin Klein. Kajimoto sees the brand appealing to the “hipster” demographic and European markets, since there is a shift toward more sophisticated dress. This year’s 150th Anniversary Collection includes both traditional western hats and smaller brimmed fedora types. Styles come and go, but it appears that the Stetson is an American classic destined to last. And, yes, every single Stetson is still made right here in the USA…Garland, Texas, as a matter of fact. 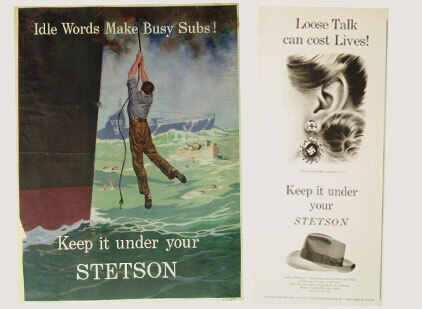 Happy birthday to you, dear Stetson…and many, many more! Okay, I'll admit it, I completely missed the date for my posting. I'm still recovering from the fantastic Western Fictioneers convention in St. Louis. Thanks to Micki for all her hard work, and to everyone who helped in any way. Plus. my 50th anniversary high school reunion is coming up in 2017, and we've been having some mini-reunions. Yankee was invited to the most recent one. This photo was taken yesterday at Donovan's Reef Restaurant in Branford, CT. So, I'm just going to close this short post by wishing everyone a Happy Thanksgiving (which also happens to be my birthday this year. Clichés are the bane of a writer’s existence. (I think I just used a cliché!) They’re so easy to fall back on because we’ve heard them all of our lives and they’ve become a part of our speech patterns—so, of course, when we write, they invade our work there, as well. I really didn’t notice how often clichés appeared in the books I read until I wrote my own book, and my editor sent me a very nice note telling me I needed to go through and remove the clichés and find a different way of wording some of the passages…I had never seen so much red ink in my life! As a reader, I do notice those clichés more now than I did before. And if there are too many of them, I have been known to lay the book down…for good. You might think such a thing isn’t a HUGE deal, but for me, being aware of it tends to jerk me out of the story when I see too many of them. Every oak tree is gnarled. Every gentle wave is lapping upon the shore. Every mountain town is nestled in a valley, every chimney produces curled rings of smoke. Every politician is slick, every banker is soulless. Journalists are moral and hardworking. Teachers are worn out. Every woman is unsatisfied, every man is flippant. Mothers are worn out too, but the fathers are emotionless. Every woman has jet black hair and every day starts with bitter coffee (which might also be scorching) and ends with whiskey (who drinks whiskey?) and ice that clinks. In the city there are cars honking, lights blinking and there are many things that are incessant; noise, screams, cries, honking. Oh, and blaring lights. Lots of blaring lights which sometimes flicker. The country has chirping crickets and waving grass. Parched earth abounds, there is lots and lots and lots of dust. The moon is always bathing things, the fog is always thick or dense, sometimes both. Thunderstorms rage while thunder cracks. Lighting illuminates, what, I don't know. The sun shines down, as opposed to up, and clouds really don't do anything except move. Tears roll down cheeks and faces break into smiles while the eyes always crinkle, when they aren't sparkling, or flashing. Hair shines or curls, always curls. People are clad in clothing, never just clothed in it. Necklaces dangle and bracelets chink. Arms are thick and strong and eyes meet more than people. Thoughts race or sometimes pervade while anger boils. Chills run up or down spines, depending on where you live, and ideas aren't just clear, they are crystal clear. What is crystal? It's what you drink your whiskey in. With the ice that clinks. 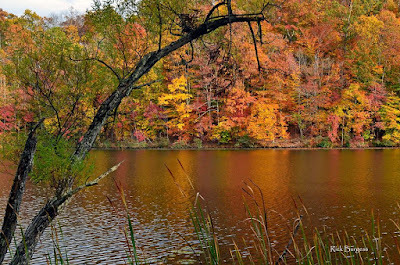 Things are notably pale, thick, greasy, cold, strong and dry which don't need to be. If it's a pillow we know it's soft. Ditto Coke and cold. Words like eat and ran and speak are passed over for gobbled and raced and exclaimed. People can't just hold they have to clasp, they can't cry they have to sob and they can't stop they have to come to a halt. I'm not tired, I'm fatigued. I'm not messy, I'm disheveled. I'm not sad, I'm despondent. Ah whatever, at least I'm not gasping for breath or not sleeping a wink over the use of clichés. Every writer falls for them, at some time or another. Every oak tree is gnarled. Even this one. I’m giving away a digital copy of the PRAIRIE ROSE PUBLICATIONS’ upcoming Christmas anthology for 2015—A MAIL-ORDER CHRISTMAS BRIDE! This fantastic collection of stories will be available on November 27. It’s got a fabulous line up of authors, including Kathleen Rice Adams, Tanya Hanson, Livia J Washburn, along with debut author Jesse J Elliot, Patti Sherry-Crews, Jacquie Rogers, Meg Mims, and yours truly. What cliché grates on your nerves or holds fond memories for you? Leave a comment about it to be entered in this wonderful give-away! The journey from Missouri to Arkansas aboard the steamboat Ella Hughes left the newly-appointed judge for the Western District of Arkansas exhausted and uncomfortable. Judge Isaac Parker sat on the wooden bunk in his spartan passenger cabin thinking about the monumental challenges awaiting him. The court was considered disorganized and corrupt, a situation created by his predecessor William Story, impeached for bribery and forced to resign. Parker arrived at Fort Smith on May 4, 1875, where he would spend more than two decades as head of the U.S. Court for the Western District of Arkansas. Wasting no time in establishing his presence, Parker appeared on the bench for the first time less than a week later. On that day, May 10th, eight men were judged guilty of murder. Each received a federally-mandated death sentence. 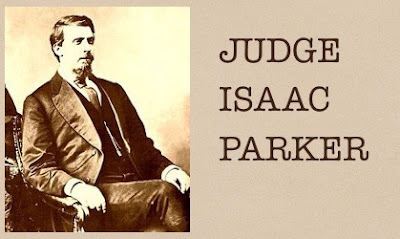 Less than four months later, six of the men were hanged at the same time—a clear, unambiguous message of Judge Parker’s hardline attitude when it came to law and order. 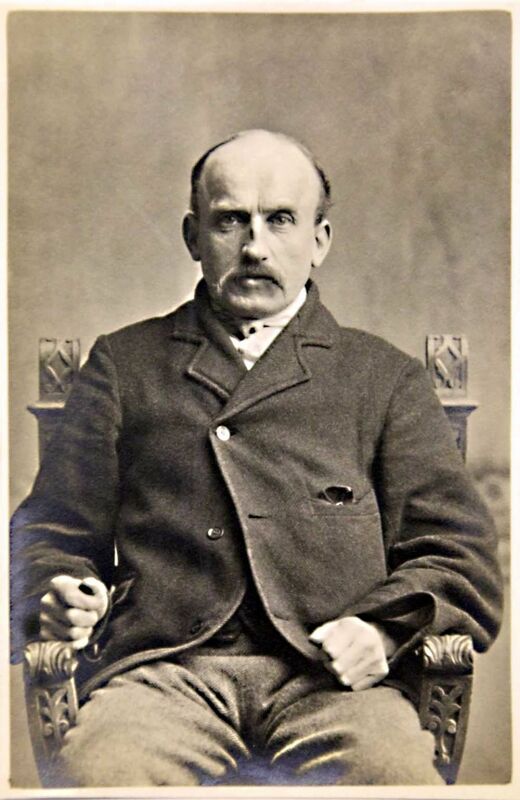 Born October 15, 1838, Isaac Charles Parker grew up just outside Barnesville, in Belmont County, Ohio. At 17, he decided to pursue a legal career. He passed the bar exam in 1859 and moved to St. Joseph, Missouri. Two years later, he opened his own law firm and earned a wealth of experience in the municipal and court criminal court system. His political experience included winning election to the post of city attorney. He also served as a member of the Electoral College in the fall of 1864 and cast a vote for Abraham Lincoln. 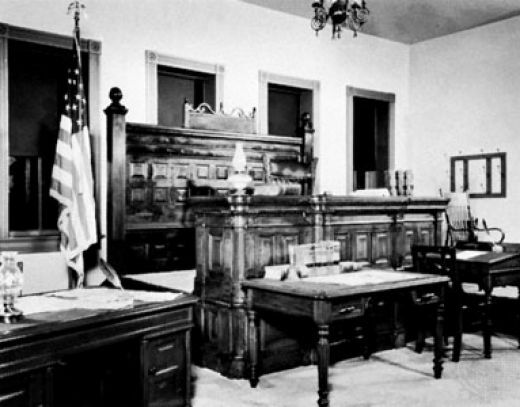 Parker won appointment as a judge for the Twelfth Missouri Circuit. In 1870, he won a Congressional seat. With no chance for re-election, he parlayed his loyalty to the Republican Party into an appointment as judge of the Western District. 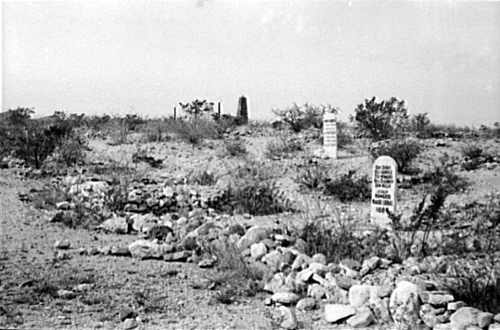 Because of the heavy migration of settlers into the vast Indian Territory, crime spiraled. Most US district judges spent their time on civil cases. Parker, on the other hand, dealt with thousands of criminal cases, many of which involved disputes and violence between Indians and non-Indians. 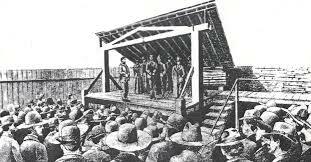 During his more than twenty-one years on the bench at Fort Smith, he sentenced 160 people to death. For fourteen of those years, he did so while the condemned had no right of appeal. Parker appointed George Maledon as Lord High Executioner. Seventy-nine were executed, 43 were commuted to life in prison or lesser terms, two won presidential pardon, 31 filed appeals and were either acquitted or had their convictions overturned, two were granted new trials and set free, one was shot and killed trying to escape, and a couple of men died in jail while awaiting execution. In 1896, Parker wrote, “I am the most misunderstood and misrepresented of men. Misrepresented because misunderstood." He also emphasized his concept of justice was singular in nature: “Do equal and exact justice,' is my motto, and I have often said to the grand jury, 'Permit no innocent man to be punished, but let no guilty man escape.'" Although Parker has often been referred to as the Hanging Judge, the term didn't appear until the 1920s—nearly thirty years after he died. According to survey findings, e-book reading consumers aged 18-29 are two times more likely to use social media for book discovery than those aged 45-60, and over three times more likely as those aged over 60. Alan Rinzler, consulting editor, says, "The New Author Platform requires a focus on developing an unobstructed back and forth between authors and their readers, with the authors — not the publishers — controlling the flow. 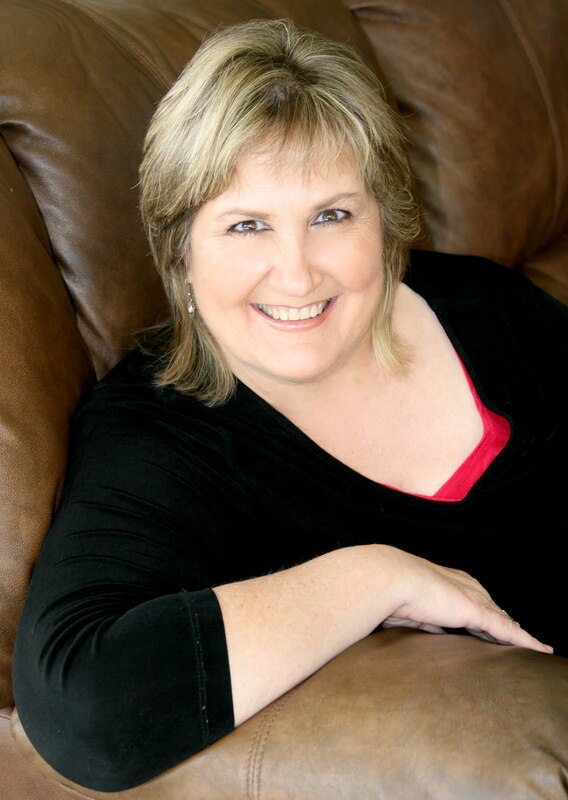 Now it’s the author, not a publicist, who inspires readers to buy the book. The New Author Platform allows not only well-established authors, but unknown, first-time beginners to do an end run around the conservative gate-keepers and reach readers directly. Successful authors today are designing websites filled with their work-in-progress, writing frequently updated blogs, tweeting, and shooting home-style, brief videos to post on their sites and on YouTube. They’re offering original content in samples and chunks, with invitations for feedback, and taking every opportunity to comment and join forums and other online venues on topics that relate to their own work." 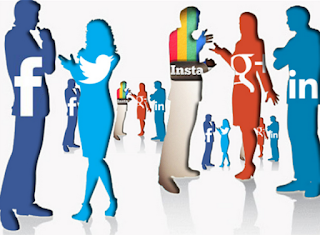 MYTH #1: Growing your social media following will increase your fame. Social media is a reflection of your fame, not a way to increase your fame. 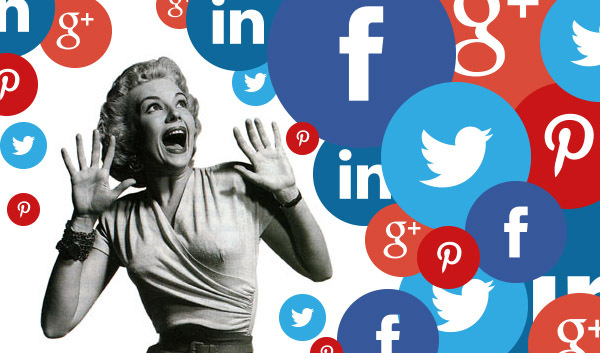 MYTH #2: There's a way to use social media that works - you just haven't figured it out yet. Social media is the most public thing you see - but it just doesn't generate a lot of sales. MYTH #3: If I get a big enough following, it'll turn into book sales. TRUTH #1: It's a great way to connect with individuals. 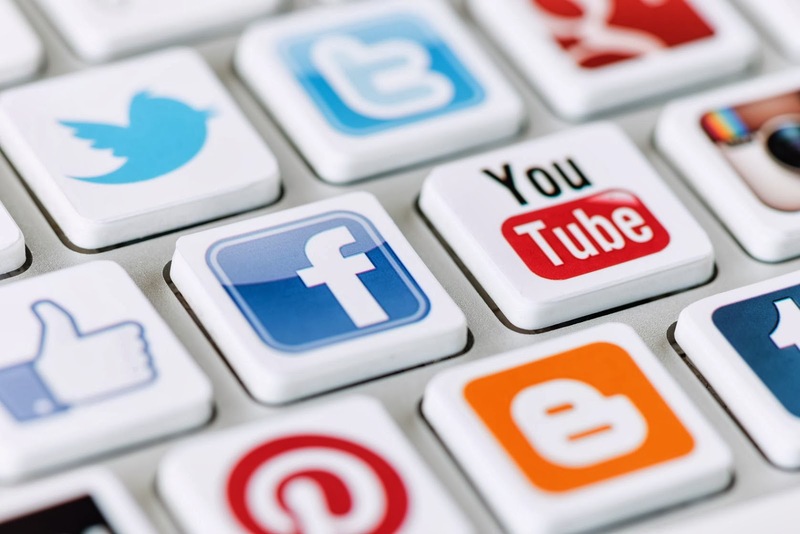 Social media is not a mass strategy: it's a one-to-one strategy. 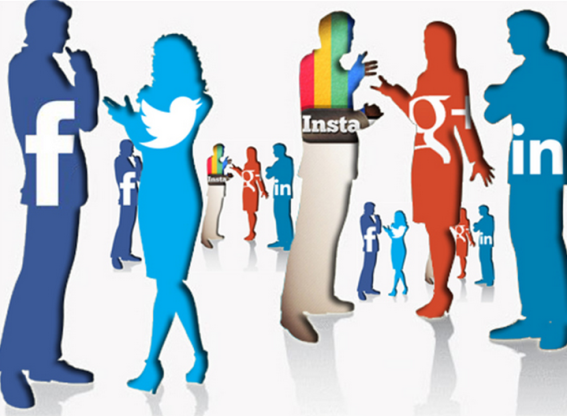 TRUTH #2: It's easier to leverage other people's followings than to build your own. Retweet and share so that your name pops up in their followers' feeds. Facebook engagement - "number of people talking about this"
3 Most Common Types - "Buy Now," "Learn More/Explore," "Subscribe/Register." Start with a strong command verb - let them know exactly what to do and how to do it. Use action-packed text - substitute action verbs for boring words like "submit" or "try." Use first-person text - In one study, changing resulted in a 90% increase in clicks! Give them a reason to take the desired action - "What's in it for me?" 7 Ways Authors Waste Time "Building Platform"
Amassing a huge list of email addresses for a newsletter. Newsletters are old hat. Blogging every day. You either burn out or start "babble-blogging"
Engage fans with valuable landing content - make sure your initial page welcomes your readers and wows them by providing further value. Batch your content for more productivity - create a week's worth of content and post it a little at a time instead of wasting time every day trying to think of something to post. Ignite your content to increase social sharing - a "share" is different from a "like"
Whenever you create a piece of content (article, podcast or video) for your blog or website, come up with a list of 10 to 20 social media posts at the same time that can be used to promote that piece of content over a period of time.